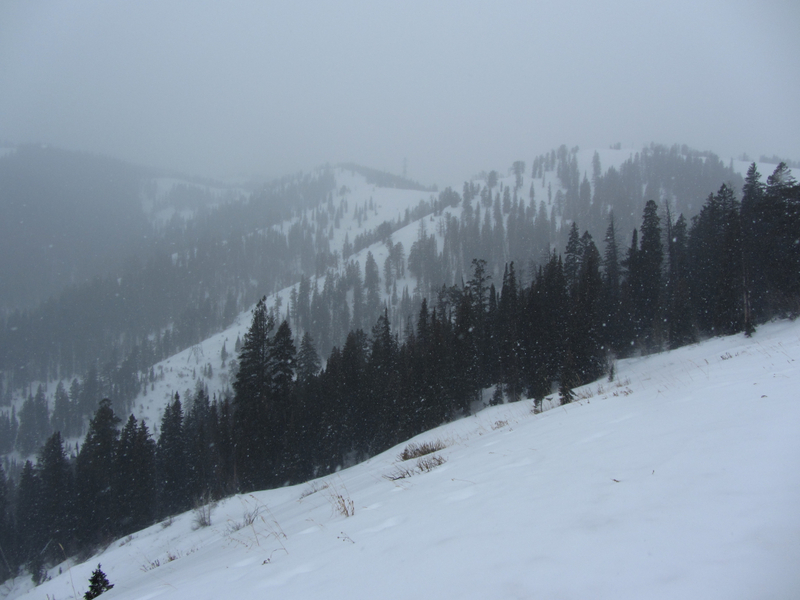 If you don't want to deal with the hassle of driving to Teton Pass, then ski there via the Old Pass Road. It's a very enjoyable route with plenty of solitude. Come summer, it's a wonderfully challenging run or road ride. And there's no traffic. Not only is taking Old Pass Road more convenient and efficient, but it's also a well-enough-traveled, packed surface that makes for a relaxing backcountry ski ride. You can park at the bottom of the road and go up as long as you feel. About 30-40 minutes in, there is a pond called Crater Lake, picturesquely tucked into a sharp corner. Cross country skiers should know that, while this road isn't the steepest around, it does have significant pitch or two. It’s not the most exciting skin, snowshoe or cross country ski up Old Pass Road, but neither is it a suffer fest. Chances are that if you continue past Crater Lake, about 1/3 of the way up, you won’t see anyone else. This does mean though that on days with fresh snow, you might have to break trail on the upper part. Skiing down Old Pass Road can be quite fun. It's not the most exhilarating kind of fun, but it's enjoyable nonetheless. You can stay on the road the whole way, or you can cut corners between switchbacks and find some decently interesting, albeit short pitches. 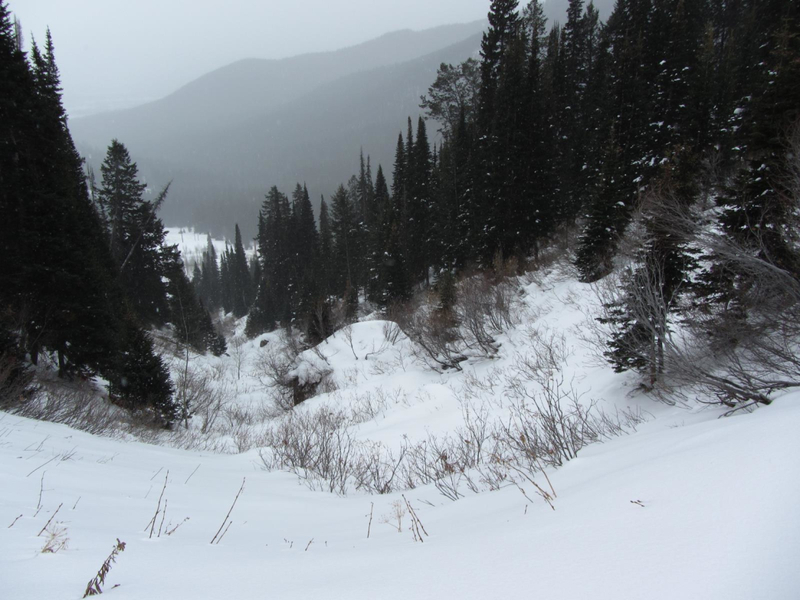 There’s one gully in particular off the third downhill switchback that’s worthwhile. It's located on the skier's right just before what is probably the flattest section of the road, and it leads down to the section of Old Pass Road just above Crater Lake. It is peaceful, picturesque, and often dotted with moose, making it a great trail to get away from everyone else! Finding parking at the top of Teton Pass in winter can be quite a hassle. It's often heavily populated with people, and as a result, the skiing doesn't feel very backcountry at all. 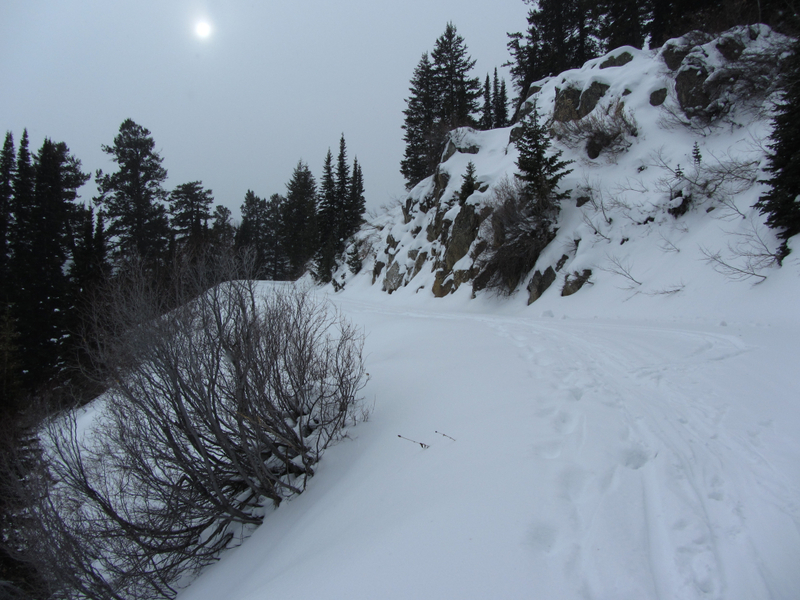 If, instead, you'd prefer a more leisurely cross country ski experience, skinning up to Teton Pass via the Old Pass Road is a solid option. It only takes about an hour and a half to make the trip, and since you'd probably spend close to that amount of time just waiting on a parking spot to open up at Teton Pass anyway, it only makes sense that you should be skiing instead. And think of the gas you'll save.